Why does fiscal deficit arise? Why does fiscal deficit arise? Unless we see through the mechanism, structure and factors of the fiscal deficit, we cannot resolve them. The mechanism of fiscal deficit to arise and the mechanism to make it surplus are the same work. The sectors comprising the economy are; fiscal sector, household, non-financial corporations and financial corporations overseas. The factor that causes fiscal deficit is the move of funds. The move of funds is provoked by loan-borrow, buy-sell, donation (inheritance), and taxes. Loan-borrow are the move of funds without transfer of ownership and are based on the premise of repayment, whereas other transfers of funds do not involve repayments. Transfers of funds are brought to effect through mediation of some sort of transactions. The sum of market transaction volumes balance to zero. In other words, the total volume of transactions among sectors comprising the economy is zero-sum. Transfer of funds brings about excess and deficiency of funds. The excess and deficiency are the cause of fiscal deficit. The deficit and surplus of individual sectors indicate their deficiency and excess of funds. Since overall deficiencies and excesses are balanced, the fiscal deficit means that the fiscal sector is a deficiency unit of funds. It also means that there are surplus units elsewhere beside the fiscal sector. We must be careful, however, that the deficiency in fiscal sector or household means that they are lack-of-funds units, instead of deficiency on the profit and loss statements. The structures that cause fiscal deficit are varied. 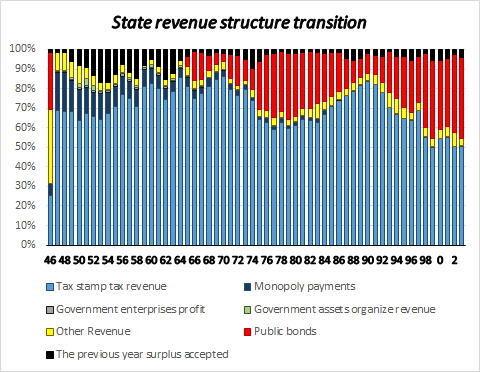 Since the total volume is zero-sum, if the public sector is in deficit there must be surplus sectors elsewhere beside the public sector. To comprehend the working of fiscal deficit, therefore, it is necessary to see through the structure that causes the fiscal deficit. The current market economy consists of four spaces and a time axis. One space is formed of the world markets, the second is the space formed by currency blocs, the third is formed by buying-selling transactions, and the fourth is the space formed by the loan transactions. The market economy is composed by combining them with a time axes. The total volume of transactions in each space is balanced and closed to zero-sum. Buying and selling transactions and loan transactions are composed on the basic grammar of double-entry bookkeeping. Market transactions consist of buying-selling and lending-borrowing. Buying-selling and lending-borrowing are symmetric. Transactions are divided by the unit period into profit and loss transactions, loan transactions and capital transactions. Excesses and deficiencies of funds within a short period are accounted for as profit and loss, and their balances are accumulated in loan-borrow and restored to time values. Loan transactions form the financial markets and buying-selling transactions form the real markets. To comprehend the fiscal deficit, it is necessary to look at the combination of household sector, financial sector, corporate sector and overseas sector that make up the real market. When the public finance is in deficit, there are six ways of combinations for other sectors. There are also six combinations when the fiscal sector is in surplus. The finance system works to adjust these twelve forms of loan-borrow. It is the increase and decrease of balances in a unit period that play important role in the time value. This is because the ratio to show the effect of unit period takes the balance for the denominator and the change in unit period for molecules. The balance forms the work of long-term funds, and changes in the unit period form the work of short-term funds. Also, buying and selling transactions make the current account balances, and the loan transactions make the capital account balances. Current accounts and capital accounts are in the relation of front and back sides through the flow of funds. Excess and deficiency of each individual economic unit and each sector accumulate in long-term funds as the balances of loans and borrowings. When the functions of each sector are rigid, negative work of lending and borrowing is piled up one-sidedly as balances of the loans and borrowings. Since the balance forms the denominator of time value and increase or decrease forms the molecule of time value, increase in a balance oppresses the molecule, i.e. time value. Since time values are the profits, interest rates, prices, and the income growth rates, profits, interest rate and prices are also depressed. When the interest rates, profits, and prices decrease, the function to adjust the amount of money is weakened and the circulation of funds gets deteriorated. Foreign exchange fluctuates to balance the deficiency and excess of funds among countries. Excessive accumulation of balances destroys social mechanisms and systems. Unless excessive accumulation of liabilities is constantly cleared, social strength cannot be maintained. To improve the fiscal deficit, it is necessary to comprehend the work of fiscal deficit, and its relationship with other sectors as well. Privatization, for example, means transferring public sector debt to private sectors. What effects do we expect by privatization? Unless the point is made clear, privatization may not exercise its effect. Focusing on fiscal problem alone, just because it is to be improved, will not lead to true solutions. 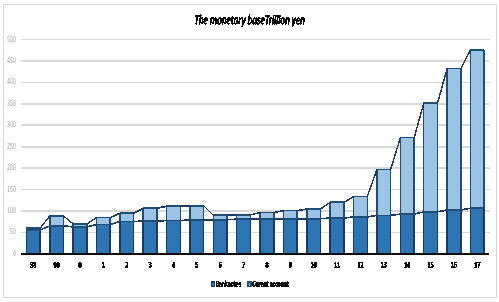 After collapse of the bubble economy, there was a fact in the background of Japan’s fiscal deficit getting acute that private companies had been converted to surplus units. Another cause was that household savings had also been piled up in the previous fiscal deficit. It is important how corporate sector, household sector and overseas sector have been involved in the fiscal deficit, while public sector was only a supplementary work. Finance cannot control monetary stream if it is put into the leading role. When we talk of fiscal administration, the work of finance should not be forgotten. Fiscal finance is deeply involved through relationship with currencies and government bonds. 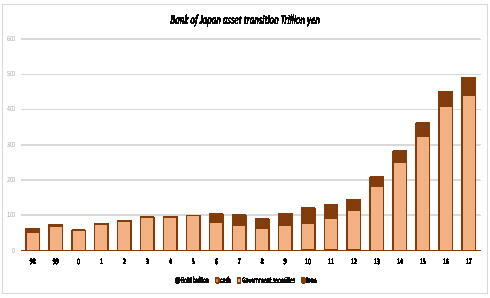 This is because the essence of currencies is tied to government bonds, i.e., the liabilities of the states. Economic policies should aim at adjusting balances among sectors to balance them over time, not just deficit or surplus. Markets cannot be controlled so long as we do not change our mindset to balance the amplitude, gross volumes, structures, and the biases. For that end, individual sectors are required to act not only on their own interests but also for integrity and interests of the entirety. Transactions are what moves funds in the market. Transactions include buying and selling transactions and lending and borrowing transactions. Other ways of moving funds include taxation, payments and donations. However, the way that money is moved in the market is fundamentally based on buying and selling transactions and lending and borrowing transactions. Both buying and selling transactions and lending and borrowing transactions are basically functions of time and are formed by the time value of money. There are real and nominal aspects of the market. The real market consists of buying and selling transactions. The nominal market is formed by lending and borrowing transactions. The real market is comprised of households, companies, the general government, and the overseas sector. The nominal market is a financial market. And the financial markets form the basis of each sector. The real market and the nominal market have a two-sided, front-and-back relationship. The real market is due to the working of buying and selling transactions, and the nominal market is derived from the working of short-term funds. The excess and shortage of short-term funds in individual sectors is balanced by lending and borrowing. Lending and borrowing is accumulated in long-term funds. Long-term funds become the principal of the time value of money. Time value can be expressed as product of the principal and the interest rate. The time value is constrained by income. The market is fundamentally balanced to a zero sum by households, companies, the general government, and the overseas sector. However, the financial markets may expand abnormally when the fiscal balance becomes unbalanced. Expansion of the financial markets means that an imbalance of profit and loss has extended to lending and borrowing. An imbalance in lending and borrowing means that the working of long-term funds has suppressed short-term funds. This imbalance also weakens the working of the time value of money. In other words, this means that shortages of income are being supplemented by borrowing. When that approach is taken, there is no other choice but to cancel the lending and borrowing relationship by brute force. And that is a situation that must be avoided most of all. Whole for part, part for whole. That is the will of God.